Although it’s widely expected that the RBNZ will leave their Official Cash Rate (OCR) unchanged at 1.75%, what could move markets is any comments on changes to their policy framework. The RBNZ runs their mandate under what’s called the Policy Targets Agreement. It’s a form of public contract between the bank and the finance ministry detailing how the bank will promote/achieve price stability. It gets renewed/resigned whenever a new governor is appointed. 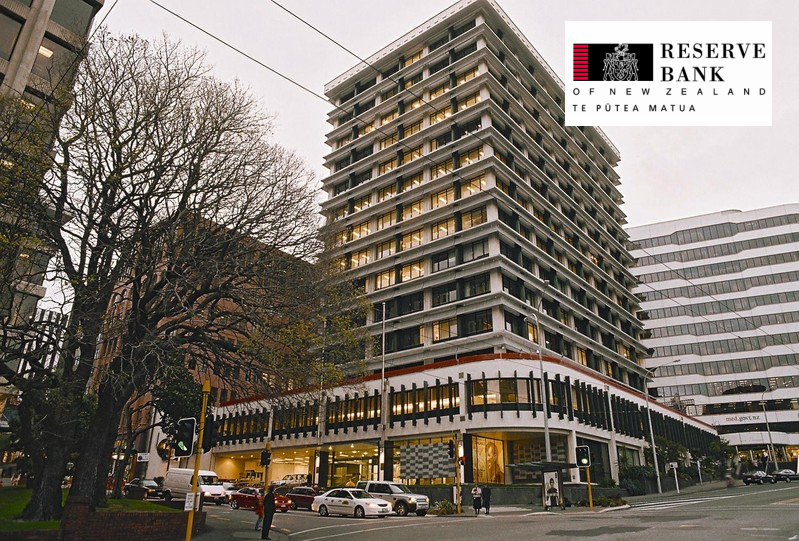 Acting RBNZ head Grant Spencer signed the current PTA back in November, and incoming permanent governor, Adrian Orr will have to renew it when he takes the hot seat 27th March, which will be 5 days after the next OCR meeting. Possible changes to the PTA are getting a touch more attention than expectations for interest rates. There’s talk that they might introduce employment or output language to their price stability mandate. That’s almost like doing something similar to the Fed. It’s unlikely to be in the remit of Spencer to make comments on any adjustments to the PTA but it could crop up in the presser (21.00 GMT) after the meeting (20.00 GMT). For the meeting statement itself, the market is mostly on board with the RBNZ’s forecasts of a next hike in 2019 but they will be delving into the new forecasts and economic analysis that’s going to be out with the decision. Overall, there’s not expected to be much change in language about the current conditions, which like a lot of central banks, notes gradual improvements in the economy & subdued inflation. One thing to watch out for is chatter about the currency. At their last meeting (Nov) they we’re happy that NZD had eased since the August statement. 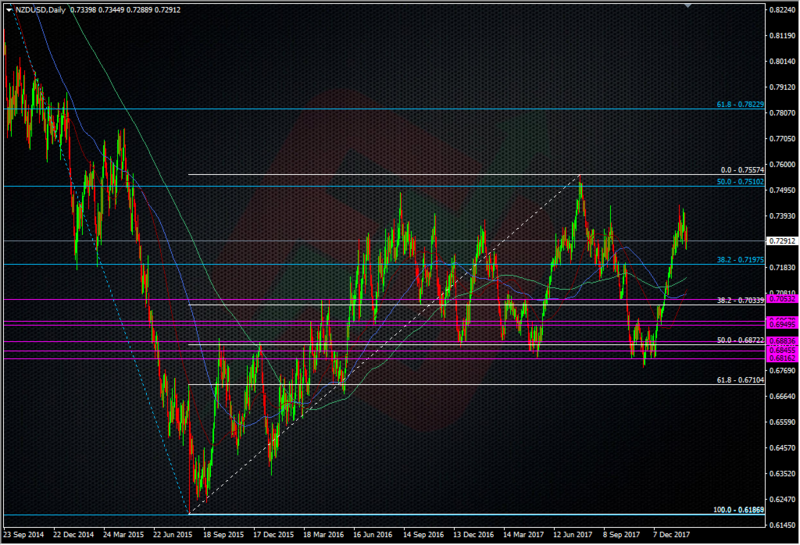 Around that time NZDUSD was down around 0.68/0.69. Today it’s up at 0.73, so that could get a more prominent mention. Trading wise, we’ve got a picture in NZDUSD that’s quite similar to USDJPY, in that it’s showing a very nice long-term range with some well-defined boundaries. Given where the price is now, there’s a good case to be made for shorting into the 0.7400/40 area (55 MMA 0.7410) if we get and mildly hawkish chatter. The bigger price risk is to the downside if there’s some strong comments on the currency, which the RBNZ likes to do from time to time. If the kiwi is hit by that, the 55 & 100 DMA’s (the 100 WMA is matching the 55 DMA around 0.7099) on the way down are places to watch for a stretch point. Otherwise, 0.7200 and the 200 DMA (0.7143) and 55 WMA (0.7130) are levels to watch in normal ranging if there’s not much going on. Overall, there shouldn’t be too much volatility with this one, and with Spencer half out the chair it’s doubtful he’ll be upsetting any apple carts. There’s some choice levels to watch on the charts, so there could be some good opportunities.